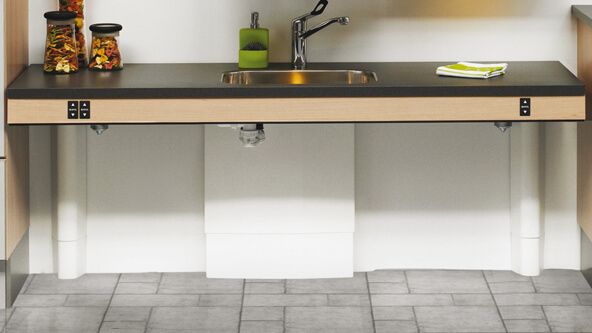 The Ropox FlexiElectric is a wall mounted lift for creating a height adjustable worktop. Controlled via a simple push button, the Ropox systems are a basic option for installations on a tighter budget. The systems can be further supplemented with safety stop strips which prevent the downwards movement of the lift in the event of an obstruction. Also available are leg covers and support feet, required if the walls are of insufficient strength.